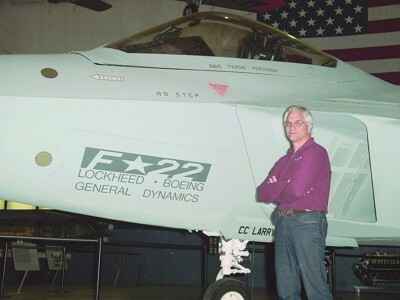 Scappoose, OR(Noevmber 5, 2013)—Oregon Aero, Inc. employees have received a U.S. Air Force Director’s Award for the company’s contributions to the F-22 Life Support System Task Force, a program which restored the F-22 Raptor fighter jet fleet to active service. The entire fleet was grounded when some pilots experienced symptoms resembling those caused by low blood oxygen levels. Oregon Aero, collaborating with the Air Force Research Laboratory, designed and manufactured a pilot helmet ear seal to accommodate the installation of an oxygen sensor into the ear seal for data collection by Air Force investigators. The Oregon Aero ear seal enabled the sensor to function properly while still providing comfort and noise attenuation. Oregon Aero personnel managed the integration of these helmet components while working with multiple military contractors. Oregon Aero delivered more than 435 helmet systems to multiple locations within budget and ahead of schedule. "Oregon Aero’s dedication to meeting and exceeding delivery milestones allowed the Air Force to field the systems in record time, improving the flight safety of our most important aerial assets — people" — Michael Sedillo, Lead Project Integrator at the Air Force Research Laboratory. Data collected by the oxygen sensor and a pulse oximeter eliminated low blood oxygen saturation as the cause of the symmptoms experienced by F-22 pilots. Investigators later discovered malfunctioning valves in the pressurized vest were restricting pilots breathing during high-G maneuvers. For their work on this project, the Director’s Award was presented to Oregon Aero employees and was signed by Major General Charles W. Lyon(Air Combat Command Director of Operations) and Colonel Gregory M. Gutterman(F-22 Systems Program Director), who referred to the F-22 challenge as "the Air Force’s toughest Life Support System issue in recent memory." The award given to each Oregon Aero employees states, "Your outstanding efforts and personal sacrifices on the F-22 Life Support System Task Force returned the world’s most capable fighter to fully mission capable, restored confidence in the F-22 Raptor, and recaptured acquisition excellence for the F-22 Program and our Air Force." "We were proud to participate in solving the issue facing the Air Force and to help keep F-22 pilots safe," said Tony Erickson, Oregon Aero Chief Operating Officer. "Oregon Aero has provided safer, pain-free helmets and seating to military pilots for nearly 25 years. In this situation, once again our employees worked together to provide an innovative solution to a pressing problem." Erickson also noted the Oregon Aero ear seal used in this F-22 project can be adapted for other helmets to measure oxygen saturation and collect data regarding pilot performance. Oregon Aero designed and makes the Oregon Aero® APECS® I(Advanced Performance Escape Cushioning System I) ejection seat cushion system which is standard for the F-22 Raptor. Oregon Aero aviation helmet liners, ear seals and microphone covers also are used by F-22 pilots.